Walkley Historians will launch their new historical project on Friday 24th February. 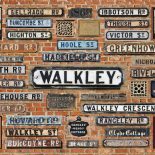 We have a received a grant from the Heritage Lottery Fund (HLF) to research and tell the Victorian history of Walkley’s streets. Led by volunteers from the local community, the three-year project will focus on the origins of Walkley’s streets and street names, the colourful stories of residents and the life of local institutions. The project will enable current residents of Walkley to discover their Victorian history through training in local history research, creative workshops and storytelling events. There will be also be exhibitions, a book and a heritage trail. If you would like to find out more please contact Walkley Historians. If you would like to find out how to take part in researching Walkley’s streets or simply to know about the exhibitions and events please come to the launch on the 24th February. It begins at 7pm and is at St Mary’s Community Centre, South Road, Walkley. There will be refreshments. The Walkley Historians are an independent volunteer local history group formed in February 2016. We came together when working on the HLF-suppported Walkley Ways, Walkley Wars project. We meet on the second Tuesday of each month at 7pm at St Mary’s Community Hall, Walkley. Our meetings are open to all and across the group we have a wide range of historical interests. In addition to the group committee there is also a steering group which advises the Historians, consisting of those with experience in history and heritage and those in positions of community leadership. Walkley has existed for hundreds of years – as a name on a map, as a hillside of fields and woods, farmhouses and country lanes. The great change which led to modern Walkley began in the middle of the 19th century, driven by the rapid growth of Sheffield’s industry and population. Little estates of a few streets appeared amongst the fields. These were laid out by Land Societies which aimed to give working people the chance to own property and the civic advantages that went with it. The agricultural land shrank as more estates were founded. At the same time the new residents on the hillside needed local services and institutions: schools, shops, doctors, churches and burial grounds. Places of entertainment and self-improvement appeared: pubs, sports’ clubs, billiard halls, a cinema, horticultural societies, political and social organisations. New streets were built to connect Walkley to Sheffield and the other growing suburbs. In the 20th century Walkley had become a fully urban landscape which itself changed and was re-made over the decades to create the place we live in. Bill Bevan is an archaeologist, writer, photographer and heritage interpreter. This entry was posted on February 14, 2017 by Bill Bevan in Events, News, Victorian Walkley.